Star Wars fans have a treat in store after the BB-8 hit the shelves at midnight last night. 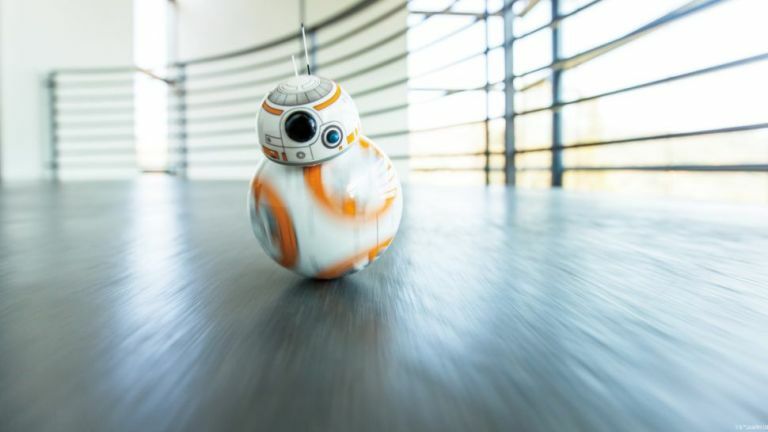 The BB-8 app-enabled Droid by Sphero brings a new part of Star Wars: The Force Awakens into your home and extends the Star Wars experience beyond the TV or any other toys you might have accrued over the years. In the past, toys of this ilk have often flattered to deceive but the BB-8 promises to be different and has three main features for your to get your claws into. First off, the drive setting works in conjunction with your smartphone or tablet and using the dedicated app you move your finger across the driving pad and the little Droid will go wherever you point. Even more impressive is the patrol setting that sees the BB-8 out on his own and the machine is autonomous enough to simply explore the surroundings by itself. That's before you even consider the clever holographic messaging feature that lets you record a video that the Droid then turns into a virtual hologram. The show is powered by induction charging and connects via Bluetooth Smart BLE to your iOS, Android or Windows device and has a polycarbonate shell in order to protect against water or anything else that might cause damage. You can get your BB-8 Droid right now for just $149.99 and start to recreate your very own Star Wars experience.